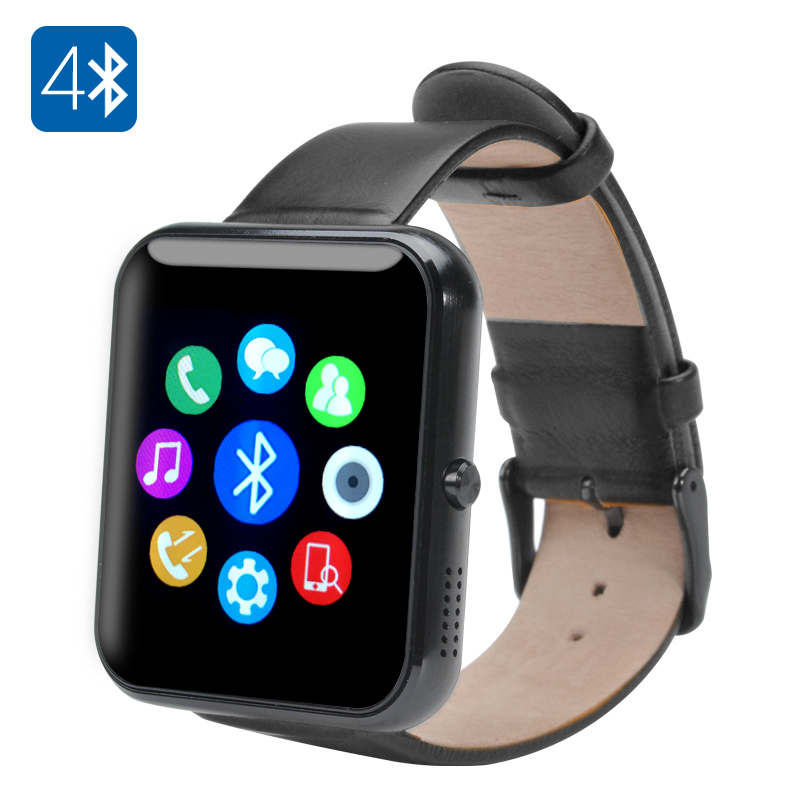 Successfully Added Bluetooth 4.0 Smartwatch - Toughened OGS Panel, Premium Leather Strap, Pedometer, Sedentary Reminder, Android + iOS (Black) to your Shopping Cart. A smart companion for your wrist. This stylish Bluetooth 4.0 smartwatch comes with a toughened OGS screen, a fancy leather strap, great set of lifestyle functions and apps for both Android and iOS. This one simple accessory can make your life easier and more efficient. With a lightweight design, a nice selection of health features and an elegant leather strap, this smartwatch is as beautiful as it is functional. Coming with Bluetooth 4.0, the watch will easily communicate with other devices and quickly exchange data. Thanks to the support of both Android and iOS operating systems and app for each one, the smartwatch will pair with your phone – no matter which OS you prefer. The smartwatch is a great outdoor accessory. It comes with a barometer (letting you measure atmospheric pressure and predict changing weather conditions), altimeter (measuring altitude) and is waterproof. It also features a toughened OGS display – and is able to resist minor drops and scratches. On an everyday basis, the watch is a great gadget for keeping fit and staying up-to-date. You will have a pedometer for counting your steps, sleep monitor to make sure you get enough rest and heart rate monitor for health tracking. You can also use the watch as a remote camera trigger (Android), to answer or reject incoming calls, get social media notifications, sync text messages and more. The Bluetooth 4.0 smartwatch comes with a 12 months warranty. Brought to you by the leader in electronic devices as well as wholesale Bluetooth smartwatches..